The first place I found Christine Miller was in a book. 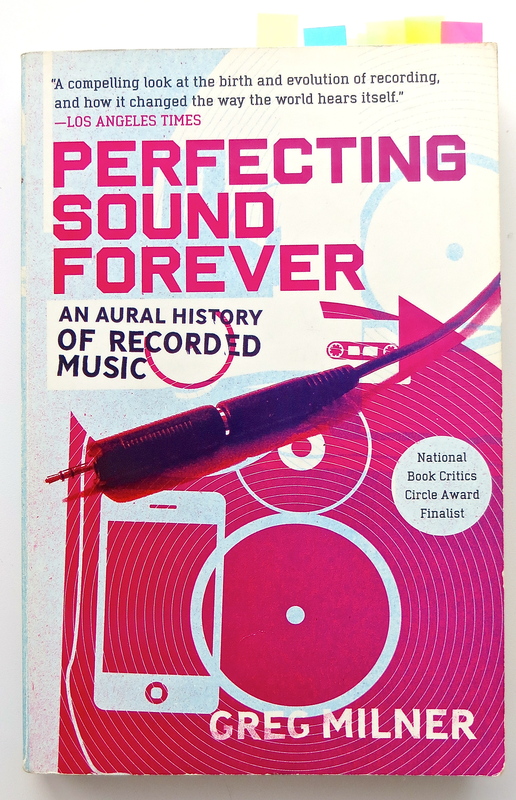 The book was Perfecting Sound Forever: An Aural History of Recorded Music written by Greg Milner, published in 2009. Mr. Milner introduces Miss Miller on page 4, in the second paragraph of his description of a concert that took place in Montclair, NJ on September 17, 1915. Christine Miller, a singer and Edison Records recording artist, was one of the featured performers in this concert. The by-invitation-only Montclair event was sponsored by the Phonograph Sales Company, which, in the summer of 1914, had opened a phonograph shop on Main Street in nearby East Orange, NJ. The Phonograph Sales Company was operated by employees of Thomas Alva Edison, Inc., whose headquarters were in West Orange, NJ. The accompaniment for Christine Miller and the two other soloists at this concert was not provided by the usual orchestra, band or even a pianist, but by an Edison Diamond Disc Phonograph playing an Edison Records Diamond Disc. A Tone Test concert presented a live solo performer playing or singing along with an Edison Diamond Disc Phonograph playing an Edison Records Diamond Disc recording of that same performer playing or singing a particular piece. The live soloist would then, at various times, stop playing or singing along with the recording, hopefully leaving the attentively-listening audience unable to tell whether what they were hearing was the live performance or the Diamond Disc. Mr. Milner explained that Thomas Edison believed that when an Edison Records Diamond Disc was played on an Edison Diamond Disc Phonograph, the recorded musical performance on the disc was not being “reproduced,” it was being “re-created.” Thomas Edison was convinced that his Diamond Disc Phonograph was as much a musical instrument as a violin, a piano, a flute or a singer’s voice. 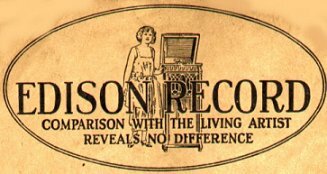 The logo below was printed on the paper sleeves of Edison Records in the early 1900’s. So, to prove to the ever-skeptical buying public that the Diamond Disc system produced the completely pure and life-like musical sound that Thomas Edison believed it did, Thomas Alva Edison, Inc. embarked on the “daring experiment” of staging live Tone Tests. The first Tone Test was held in East Orange, NJ, in February, 1915 and featured vocalist Christine Miller. At the September 17, 1915 event at The Montclair Club in Montclair, NJ, Christine Miller skillfully wove her live voice in and out of several Edison Diamond Disc recordings. Starting with an aria from Mendelssohn’s Elijah, Miss Miller continued with the Scottish hymn “Abide With Me” and then presented “The Old Folks at Home,” a song by Stephen Foster, for the grand finale. Thomas Alva Edison, Inc. continued conducting Tone Tests featuring Christine Miller across the country throughout the Fall of 1915, including a major event on October 21 – Thomas Edison Day – in San Francisco, CA. In April of 1916, Miss Miller appeared in a highly publicized Tone Test held at Symphony Hall in Boston, MA. The last of the Tone Tests were held in 1925. This entry was posted in Random Topics and tagged Christine Miller, Edison Diamond Disc Phonographs, Edison Diamond Disc Records, Edison Records, Greg Milner, Perfecting Sound Forever, Thomas Alva Edison, Tone Tests. Bookmark the permalink.